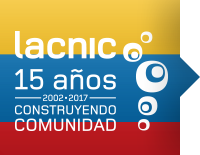 LACNIC’s Services Department visited 26 members and Internet organizations in Colombia to provide first-hand information about the final stage of IPv4 exhaustion, answer members’ questions regarding IPv6 deployment, and listen to their needs and concerns. In addition, this face-to-face contact with our Colombian clients sought to increase participation and involvement in the various topics of interest to the community and the regular activities of the Regional Internet Registry for Latin America and the Caribbean. In March this year, the Services team had already visited clients in Guatemala. April saw the team visit organizations in Colombia, and there are also plans to visit Mexico, Peru and Chile. Alfredo Verderosa, LACNIC Services Manager; Paula Manci, Head of Membership Services; and Juan Carlos Alonso, Head of IT Operations, led the LACNIC delegation to Colombia, where they met with customers in Cali and Bogotá and shared the current status as well as future plans for the Internet in the region. Verderosa noted that the outcome of this tour had been extremely positive, as they had been able to schedule meetings with at least a third of all of LACNIC’s ISP (Internet Service Providers) members in Colombia. “They all understood the message about the final phase of IPv4 exhaustion; to a greater or lesser degree, each is working towards IPv6 deployment, as they have IPv6 addresses provided by LACNIC,” said LACNIC’s Services Manager. Each meeting made it clear to Verderosa that members are aware that Internet growth must go hand in hand with IPv6 deployment. The current status of IPv6 and plans for its deployment were precisely the topics most discussed during the meetings and the issue on which the LACNIC delegation heard the most concerns. Meanwhile, Manci highlighted members’ interest in the LACNIC sponsorship program to attend its events and training activities. Many people also expressed interest in participating in the development of LACNIC policies, which are decided by the community.